At Capitalmind Premium, we have a very active Slack channel where we discuss a lot of interesting topics. 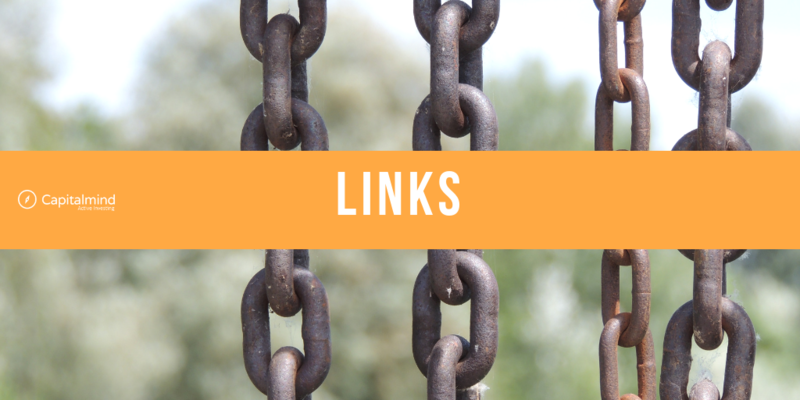 In there, a number of interesting links come our way. Here’s the most interesting of such links shared by our members in recent days. 1.The Dawn of Smart Beta Funds. 2. A New Model, to Share Personal Information with Service Providers. 3. Mantri Developers Defaults on EMI Payments to PNBHFC in ‘20-80’ Flat Buyback Scheme. 4. Are Venture Capital Funds Living in La-la Land? Venture capital funds have long been touted as the torchbearers of capitalism, bringing much needed funds to cash-starved businesses. But all may not be well with VC funds. According to a recent study by a registered, non-profit foundation that invests in such funds, VC funds have generally not out-performed the market since the late 1990s, except for the occasional success. Link. 5. Government’s Plan to Link PAN with Aadhaar Runs into Teething Troubles. 6. 87 Interesting Facts on the Growth and Current Prospects of the Fintech Industry. 7. Did Warren Buffet Compare Cryptocurrencies to ‘Rat Poison’? 8. The Canadian Pension Fund (or CDPQ) Commits $250 Million to Edelweiss Financial Services. 9. Government Exceeds Disinvestment Target for PSUs for Second Year in a Row. 10. Jet Airways’ Iconic Founder Naresh Goyal to Exit from the Airlines’ Board. 11. Dehlivery Becomes First Indian Logistics Company to Enter Unicorn Club. 12. Man Steals Millions from Facebook and Google by Sending them Fake Invoices. Evaldas Rimasauskas had a neat racket going, swindling enormous amounts of money from internet giants Facebook and Google, until he was caught. All he did was send the companies fake invoices for services he never provided; services which the companies never took. It is estimated, he managed to steal more than $122 million from the two companies this way, before the law finally caught up with him. Read his fantastic story on this link.